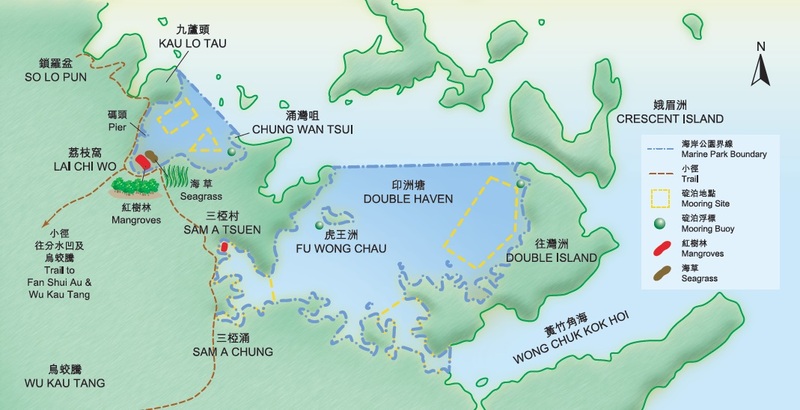 (2) The second portion is located next to Lai Chi Wo and bounded by the line linking Chung Wan Tsui and the northern tip of Kau Lo Tau. The landward boundary generally follows the high water mark along the coastline. Please refer to the gazette map and explanatory material for the actual boundary. (The map is for general reference only. Yan Chau Tong is well-known for its rich fishery resources. Here, two important ecological habitats, including both mangroves and seagrass bed, act as nursery grounds for larvae and juvenile of fishes and many different marine lives. 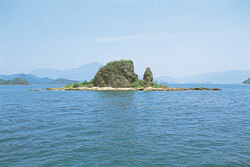 For more details on the ecology of this area, please visit the Ecology of Yan Chau Tong Marine Park. A wide variety of landforms, such as bays, projecting headlands, peninsulas, rock cliffs, sand pits and beaches found within Double Haven (Yan Chau Tong) create diversified beach types ranging from mudflat to rocky shores. Some local people apprasie this area and called it "Mini Kweilin" in Hong Kong.